This past Saturday, Shaken Not Stirred traveled to Malibu to bartend a wedding at a beautiful home overlooking the Pacific. The bartending service also contracted to provide three servers for the event. It was a fantastic day for the wedding and many of the guests had flown all the way from Argentina to attend. There were approximately 100 guests in attendance. 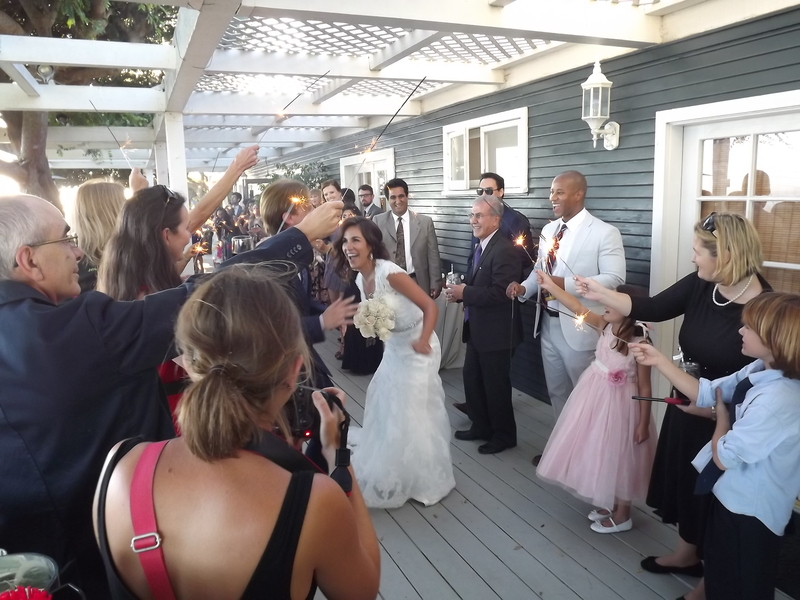 There were two bars set up – one on the deck overlooking the property, where a cocktail hour was hosted just after the ceremony. 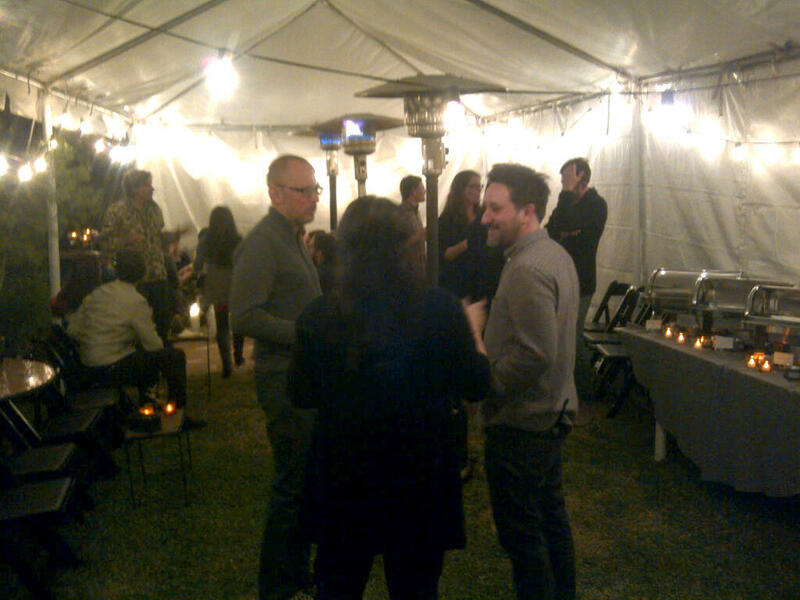 I served Mojitos, and a Madras as the specialty drinks and we served a lot of wine and beer. Argentineans usually drink a lot of wine and that was the case this time as well. The servers I brought with me, including my daughter served appetizers, including bruchetta, shrimp cocktails, and other delights. Once the cocktail hour was over, we moved the bar operation down to the second bar where dinner was being served. 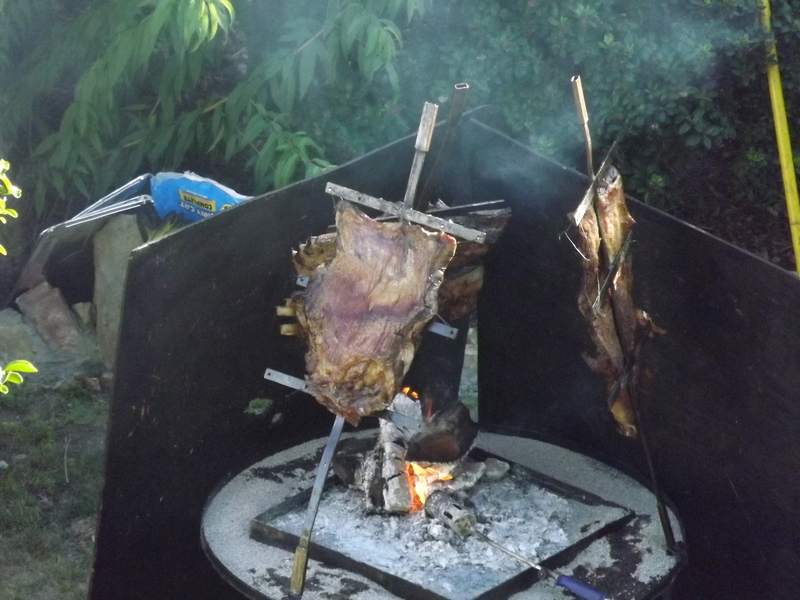 They had an authentic Argentine caterer who had a fire pit set up and was doing the beef, chicken and sausages for the dinner. I was so busy, I did not get the caterer’s card, or I would have included a link to his site here. The three girls I brought kept busy clearing the plates and glassware. They used real plates and glassware at this wedding, which is nice, but requires much more work, since everything must go back into boxes to be returned. Many wedding are using plastic wear that looks almost like the real thing, but is disposable. 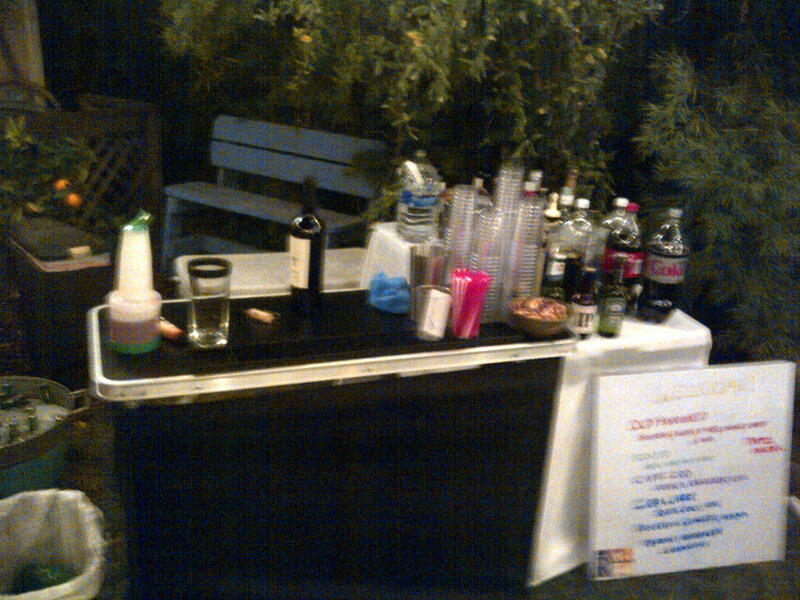 I continued serving drinks all the way until midnight and the party was still going on. Argentineans love a good party. I felt unusually fatigued at the end of the party, and when I got home I had the full blown chills, followed by a fever. I don’t know what caused this, but as I write this, I am still recovering. I hope to be fully recovered by Thursday where I have a corporate event in Hollywood. Then on Saturday, I go to Marina Del Rey to bartend a rooftop 30th birthday party. Then on Sunday, I have a pool party in Culver City, where I will make two drinks I always wanted to make, the Pisco Sour, and the Caipirinha, both South American cocktails.